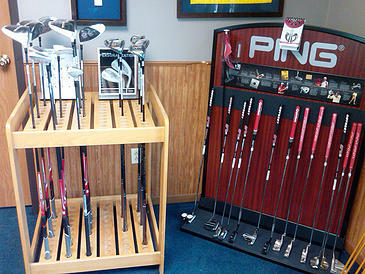 The Golf Shop at Verona Hills is under the direction of Philip Gornowich, PGA Head Professional. The Golf Shop offers a full – line of current golf equipment and apparel from golf’s leading vendors including TaylorMade – Adidas, Titleist, FootJoy, Callaway, Under Armor, Otter, Bridgestone Golf, and Sundog Sunglasses. Whether you are looking for that perfect custom gift or the latest in golf equipment, allow Philip and his staff an opportunity to earn your business. All equipment purchases made also include a professional fitting with the ability to customize your entire bag. With competitive pricing on all name brand equipment and friendly customer service, The Golf Shop at Verona Hills is your one-stop shop for all of your golfing needs. We also have the ability to assist you with your corporate or event merchandise. Ordering professionally logoed merchandise for your upcoming meeting or golf event will set you apart from the competition. With items ranging from coffee mugs and coasters to logo golf balls and putters, The Golf Shop at Verona Hills will be able to provide all you will need. 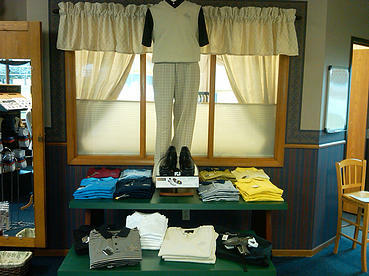 The Golf Shop at Verona Hills is open seven days a week from March 15th through November 15th each season.